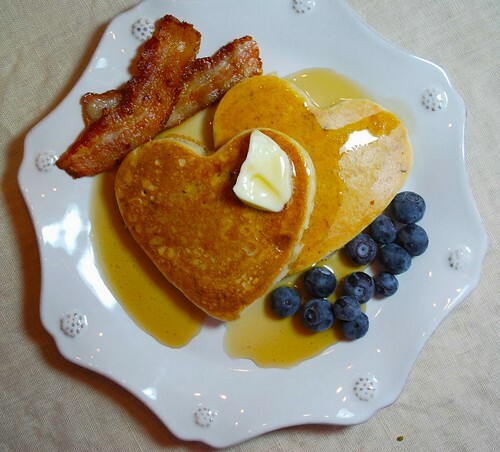 Here is a special peek, dear readers, at the romantic breakfast I cooked for my Valentine this morning. 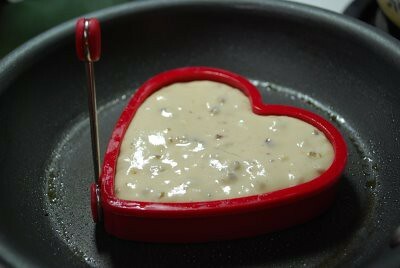 My super cool mother-in-law got me this nifty heart-shaped pancake mold as an early birthday gift, and she even got us some pecan praline pancake mix to go with it! It’s basically a silicone mold that you place in your pan, then you fill it with pancake batter. The little handle flips down flat so that you can flip your pancake and let it set before removing the mold. It worked really well!! 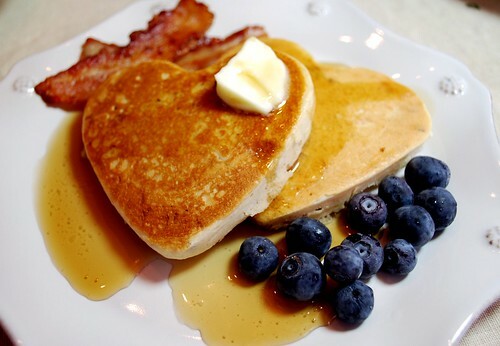 Top it off with pure maple syrup and a dab of butter, slap some bacon on the side and garnish with some fresh fruit – and you have a beautiful and romantic breakfast!